Congratulations on the successful public kickoff of the $1.5M Advance DeKalb Campaign to Decide DeKalb Chairman Dan Bolia (Peachtree Government Affairs), Advance DeKalb Campaign Chair Ryan Millsap (Blackhall Studios), and Decide DeKalb CEO Ray Gilley! 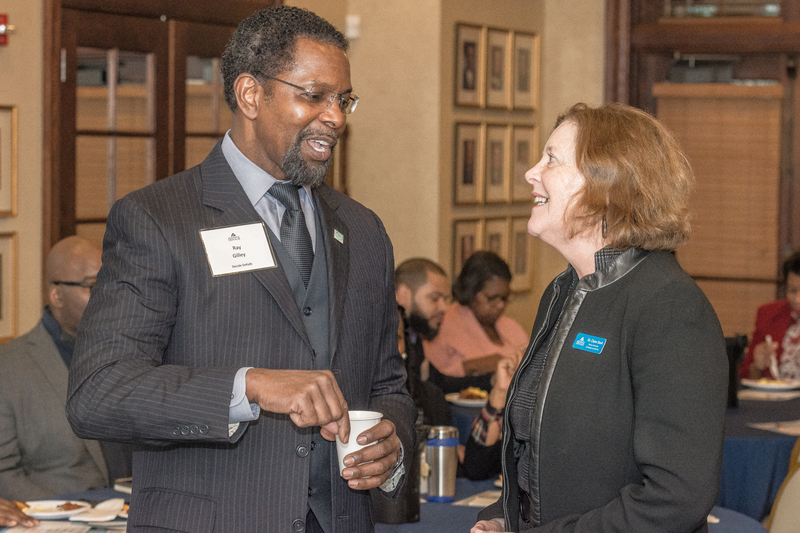 As announced to 100+ business leaders at the public Kickoff event, hosted by Emory University last Friday, the public-private partnership has already raised $1,185,515 (79%) towards the $1.5M campaign goal during the “quiet phase.” We’re in the home stretch! 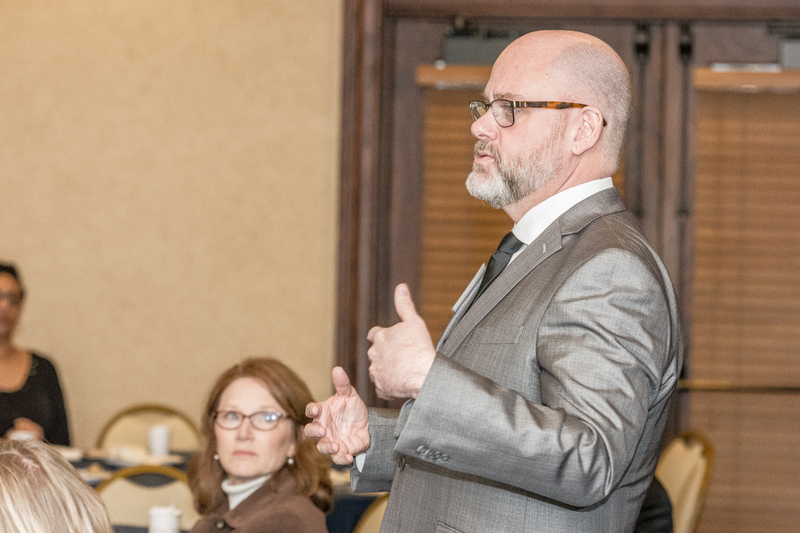 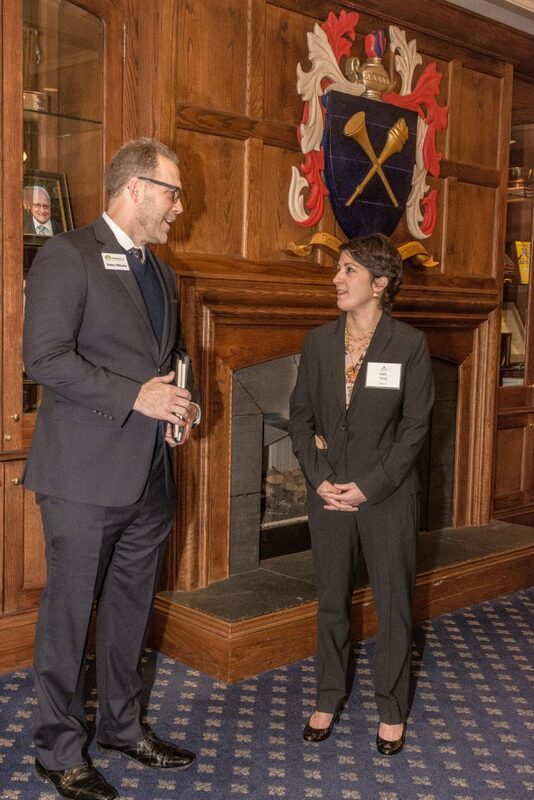 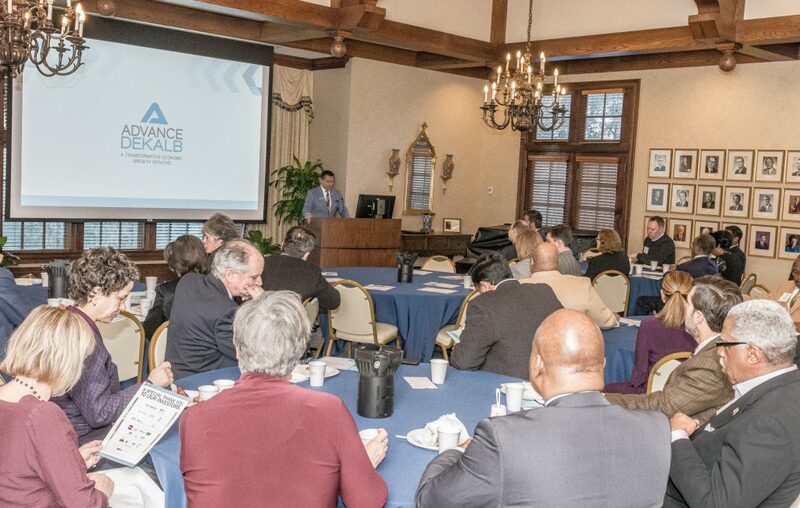 Attendees had an opportunity to learn about the creation of the County’s first-ever economic development public-private partnership; Advance DeKalb’s five-year initiative will foster inclusive job-creating investment in the County. 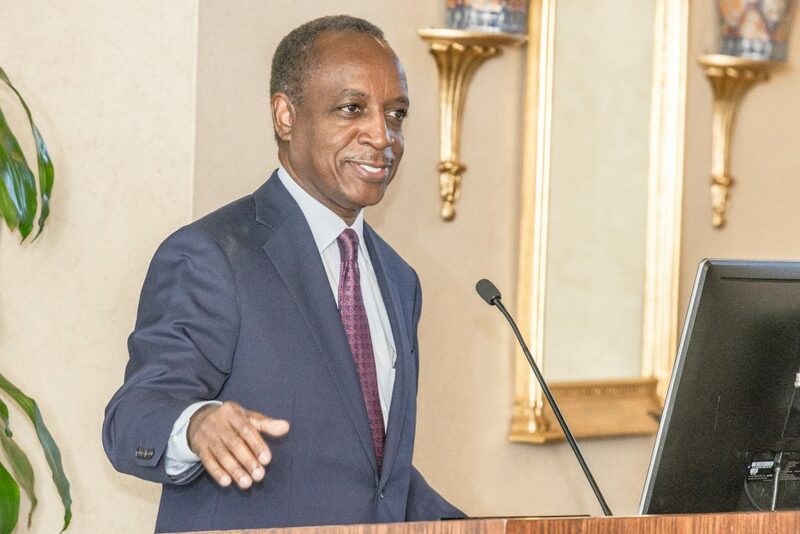 In addition to remarks from Gilley, Bolia and Millsap, Emory University President and Campaign Advisory Council Member, Dr. Claire Sterk, and DeKalb County CEO Michael Thurmond, also spoke at the Kickoff about the importance of public-private partnerships in job creation and workforce development. 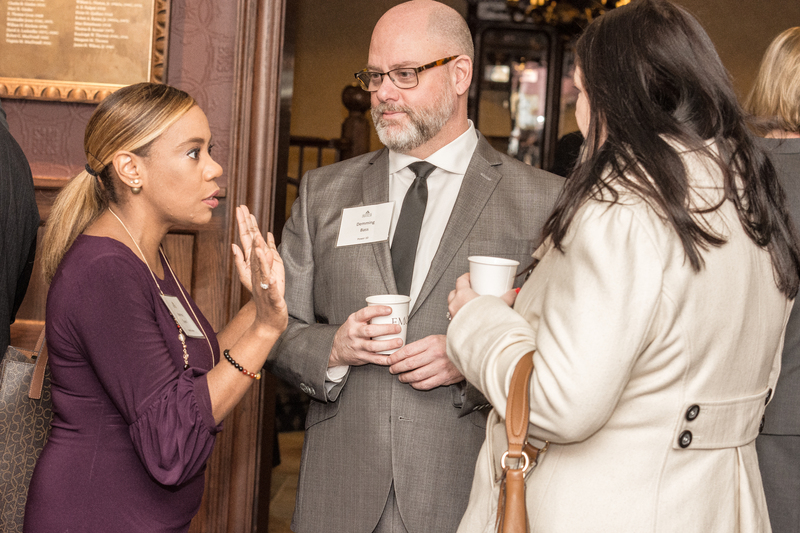 Development Director Demming Bass and the rest of our team at POWER 10 are pleased to have worked with the aforementioned and other key DeKalb County leaders, and we look forward to a successful conclusion to the campaign in the coming months! 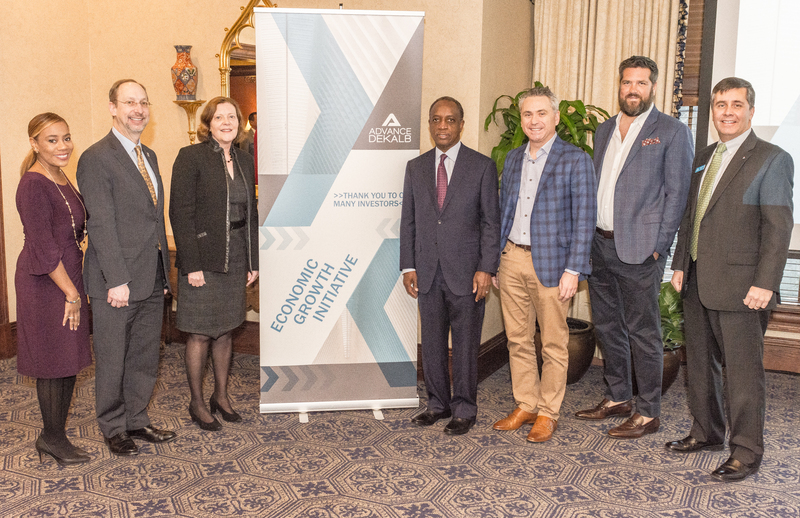 (Left to Right) DeKalb Chamber CEO Katerina Taylor, Emory Hospital CEO Dr. Jonathan Lewin, Emory University President Dr. Claire Sterk, DeKalb County CEO Michael Thurmond, Gas South CEO Kevin Greiner, Campaign Chair and Blackhall Studios CEO Ryan Millsap, and Georgia Power Region Manager Doug Jenkins.